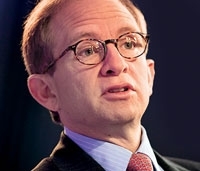 Steven Rattner, former chief of the Obama auto task force, said General Motors' corporate culture was dysfunctional when he arrived last year. "I was completely unprepared for what I saw once I got inside of General Motors," Rattner, 58, said in an interview with Automotive News last week. "I certainly had read about GM. I assumed there was some level of journalistic hype. And, in fact, it was worse than anything I had imagined." In Rattner's new book, Overhaul: An Insider's Account of the Obama Administration's Emergency Rescue of the Auto Industry, Obama auto task force member Harry Wilson summed up GM simply: "A culture of losing." The good news is that now, after nearly a year under outsider CEOs Ed Whitacre and Dan Akerson, GM is making significant progress, Rattner said. Whitacre "sent the message that this is no longer a bureaucratic battleship churning its way through the waters. It has to become more lean and mean." Rattner said Akerson, who took over as CEO on Sept. 1, "is completely in Whitacre's mold and mentality." In his book Rattner, a 26-year veteran of Wall Street, relates example after example of an insular, bureaucratic organization that avoided decisions while the company deteriorated. For instance, Rattner said former CEO Rick Wagoner in 2008 refused to prepare for bankruptcy even though GM was desperately short of cash. The delays ended up costing taxpayers "a lot of money" when GM did file for bankruptcy, Rattner said. Rattner, who led the task force from February 2009 until he resigned that July, is especially critical of GM's finance department. "It was stunning to walk in there and realize that the company needed massively more cash to operate than the size of company would suggest because they didn't know where the cash was," Rattner said last week. "That they couldn't tell us on any given day within $500 million how much cash the company had. That's an amazing thing." Even today, 14 months out of bankruptcy, GM lists financial reporting as a risk factor in its recent registration for an initial public offering. Rattner said last week that it may take another year or so to work out all those bugs. He said insularity, in which GM lifers dominated management ranks, combined with arrogance to contribute to GM's toxic culture. "Until this latest round of changes, GM had an incredibly small number of people who had not been there their entire careers," Rattner said. "It was a culture of meeting after meeting and process." In his book, Rattner writes that then-CEO Fritz Henderson lost points with the board for being "doggedly loyal to GM people and ways. Ray Young was still CFO. [Fritz's] decision to bring back Bob Lutz left many on the board scratching their heads. And when Kay Barclay, the head of human resources, finally resigned, Fritz proposed a GM manufacturing executive to take her post." Rattner said last week that GM's culture was outwardly friendly and collegial -- "so much that nobody ever wanted to break the glass and say this is wrong." But now, after nearly a year under Whitacre and Akerson, GM's culture is changing, Rattner said. He helped recruit both Whitacre and Akerson to the post-bankruptcy board. "Whitacre changed a lot of people," Rattner said. "He changed some of the jobs twice when he wasn't happy with whom he had. He promoted and empowered some insiders who brought in outsiders."